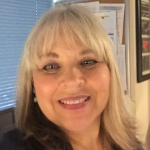 CardioServ loves featuring individuals that share our values of inspiring excellence and we are excited to introduce you to Yvonne Prince, ACS, RDCS, RVT, RDMS this week in our Educator Spotlight. Yvonne is the creme dela creme of sonographers! Not only is she an experienced sonographer, she is a leader and educator within the field of ultrasound! Yvonne was one of the first sonographers to sit and pass the Advanced Cardiovascular Sonography (ACS) board exam & the ONLY ACS sonographer in the state of South Carolina! She is also credentialed in vascular, OB/GYN and abdominal/general ultrasound. Yvonne has experienced first hand the advancements in technology over the decades — it is amazing to hear her story and where she stands today in the field. I was fortunate to interview Yvonne and I look forward to share her career experience with you! Yvonne is a prime example of how a sonographer can advance within the career of ultrasound to make a difference in the diagnostic imaging field. How did your healthcare career start? My healthcare career began when I entered the radiologic technology program at Piedmont Technical College in Greenwood, SC in 1976. This program consisted of 24 months with concurrent didactic and clinical training. I became a registered radiologic technologist (ARRT(R)) soon after my graduation with an associate’s degree in 1978. My class was the first to obtain an associate’s degree rather than a certificate. How did you transition to ultrasound? My first job was at Bailey Memorial Hospital in Clinton, SC as a staff radiographer (1978). After 2 years, I had the opportunity to cross-train into abdominal/general and OB/GYN sonography. Looking back, how little did I know where my forte for sonography would lead! Soon after getting my feet wet with general and OB/GYN sonography, the opportunity arose to cross-train into the new “Doppler studies”. I didn’t even know what that meant, but I raised my hand again. The old system had a mechanical transducer and a foot switch that you had to pressed in order to scan (it did not have Doppler capabilities). The facility acquired a new ultrasound system that featured color and spectral Doppler and, the greatest thing ever – cineloops! These new features seemed magical and it was exhilarating to see and hear blood flow for the first time with this new technology! During the 1990s, I was recruited several more times allowing me to gain different types of experience. I soon became credentialed (ARDMS) in vascular technology (RVT) and in abdominal/general and OB/GYN (RDMS). What made you decide to specialize in cardiac ultrasound? I was again recruited in the late 1990’s, this time to a private cardiology office. I continued to perform vascular and abdominal studies, but was yet again given the opportunity to cross-train…this time in adult echo. This was a tremendous learning experience for me, and I soon became credentialed in adult echocardiography (RDCS). I was fortunate enough to work for a cardiologist that came from an academic background, which gave me the same educational pathway as his fellows in medical school. While this approach could be very tough at times, it was also very robust. I had the opportunity to “see” patients with him, which was instrumental in honing my ability to obtain a pertinent patient history and to examine patients. These skills enabled me to become a better clinician at the bedside. I was able to read studies with him, which gave me greater insight into how best to perform a diagnostic study focused on each individual patient’s case. He believed in teaching of all of his clinical staff about the other modalities being used in our office, such as nuclear cardiology. Tell us how you got involved with your teaching career! I remained at the private practice until 2012, when the practice was acquired by the Greenville Health System. 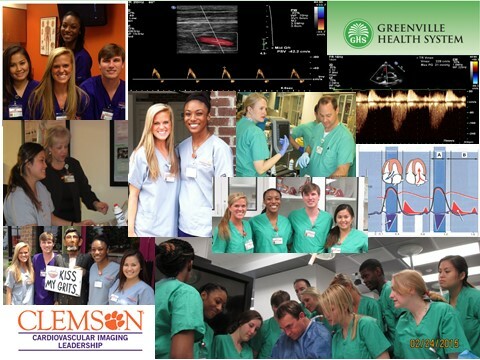 Greenville Health System (GHS) and Clemson University collaborated a workforce development initiative, implementing an accredited cardiovascular ultrasound program that offers a Bachelor’s degree with dual modality tracks. The vascular lab manager over the hospital was also the CVT program director. After expressing my passion about echo and wanting to help with the brand-new CVT program, I was brought on board a the echo educator in the summer of 2014. The CAAHEP-accredited program is ran by two colleagues (Eric & Mary) and myself. The three of us can be quite the force, especially on the rare days when all of our brains are firing on all cylinders! We believe that meaningful education is the way to advance our profession and we strive each day to make our program and its graduates the best they can be. The first two cohorts of CVT program & Eric (far left) and myself (far right). The program currently boasts 23 graduates along with 3 rising seniors, 6 rising juniors, and at least 13 rising sophomores signed up for Eric’s introductory course. Our program has a 100% positive placement rate and the reputation of our graduates has already spread outside of our local area. 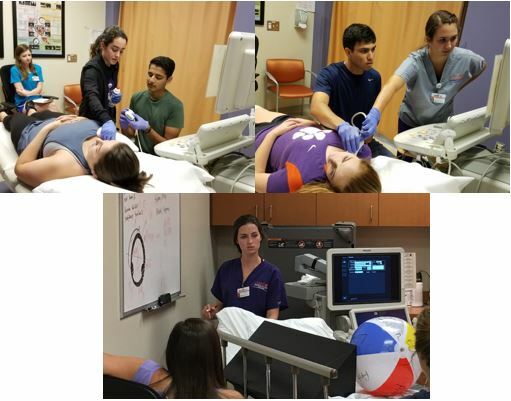 The CVT program collaborates with MedEx Academy, which exposes aspiring healthcare professionals in high school and college, to experience a variety of clinical scenarios at GHS. The CVT students are actively involve (images below) to provide these experiences! Last, but not least …. share a little something about you! On a personal note, my husband, Billy, and I live on a farm in Upstate South Carolina, along with 5 spoiled-rotten horses, 5 dogs (all rescues), and 1 bodacious barn cat. We are surrounded by wildlife such as deer and turkeys, and I even saw a pair of coyotes recently. My husband and I are hopeless “pickers” who take every chance to look for treasures we can transform to keep or to flip. Our two sons, William and Lee, are grown with families of their own. William lives in NYC and operates his own architecture firm there and often travels worldwide for his projects. Lee lives on Lake Greenwood in South Carolina and travels throughout both Carolinas keeping a famous restaurant chain up and going. Several years ago, he built his house and shop at the lake and enjoys spending time his family, restoring cars, boating and jet skiing, and motorcycling. Yvonne demonstrates how curiosity and a desire to learn mixed with hard work, all come together to provide an aspiring and rewarding career. She reminds us all of our potential to grow as clinicians. So raise your hand…say yes… cross train…get credentialed! Be the leader, the teacher, the sonographer that you know you can be and step up to the many vast career opportunities that awaits! CardioServ is honored to have Yvonne be our guest writer this week! 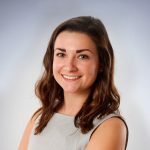 Check out her first blog, “2 Ways to Properly Assess TR Jets for Accurate RVSP Calculation and connect with her on LinkedIn.